The book is fantastic, and long-overdue! Having devoured it cover to cover, I can confidently assert that it is a must-read for any Guaraldi fan, jazz aficionado, or Peanuts TV special lover. Having done a bit of archival research myself on Vince's music and career, I'm amazed at the breadth of material that Derrick has uncovered, teased out, compiled, and woven together into a single narrative. 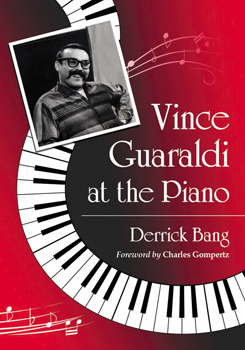 This is *the* definitive musical biography of Guaraldi, and we fans are in Mr. Bang's debt for sharing such a wealth of information and insight.